When I first saw trailers and info appear about Rage of the Gladiator I said to myself, “That looks like a fantasy version of Punch-Out! !” What a simple yet brilliant concept, right? Well, after playing through both the normal and challenge modes of the game I can honestly say it IS a fantasy version of Punch-Out!!. Now just because something mimics a popular first party Nintendo title, that doesn’t necessarily mean it’s any good. Remember all the horrible Super Mario Bros. wanna-be platformers in the 8-Bit era that made you want to stab your eyes out? So is Rage of the Gladiator a sorry-second rate knock off with a fresh coat of paint, or a surprisingly good find? The story here is fairly generic and it feels like it’s been taken from countless other tales in a fantasy setting. You are the first born son of a king who is murdered and you are accused of the crime. 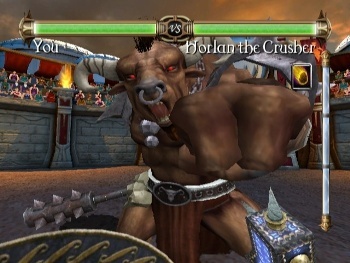 For some reason your punishment is to fight as a gladiator in the arena against monsters and men alike. Eventually you learn it was YOUR EVIL TWIN who did the deed which sets you into Challenge Mode, pitting you against the same ten opponents (plus a surprise or two…), but with new abilities and far more difficulty. You get story bits after every few battles that fills in the back story as to your modus operandi, but it’s fairly thin and it gets a bit disturbing when some of your opponents are forced to fight you simply because they are monsters and look different. Good to see the Kingdom you were meant to inherit is racist, species-ist, and makes people fight to the death for their amusement. I actually felt bad for the Beholder as his back-story is he was captured by the kingdom and is forced to fight when all it wants to do is go home. There’s also a bit of weirdness where an assassin is hired to kill you and how he is also a student of your mentor. Then after you beat the assassin, your teacher challenges you to avenge the assassin, even though the game explicitly tells you he and said evil student did not get along or see eye-to-eye. Okay then. Aside from these plot issues and the disturbing realization that your kingdom is populated by jerks, I was impressed by the amount of characterization and back story put into a $10 game. I found myself laughing at some of the characters for their taunts and quips and quickly grew to hate others. Yay for characterization and back story but boo for the basic storyline and its plot-hole ridden clichés. Call it a thumbs in the middle. 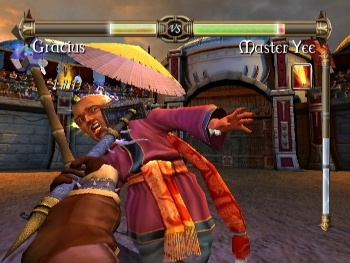 As your character’s arms and weapon along with the background are the same from the beginning of the game straight through to the end, you might find yourself wishing for a change of scenery, but your opponents more than make up for it. There is so much variety to each one, along with fluid animation that lacks any slowdown, that you’ll wonder what else this obscure Ghostfire Games had on the drawing board. Sound effects in the game are a lot of fun. The sound of your character smashing someone with his warhammer is distinct from the sound of him kicking which is turn stand out from your shield bash or special combo attacks. Opponents have swords, snakes, gaze attacks, meteor storms and many other ways to try and do you in. Everything sounds as good as it looks and the effects that filled my playthroughs were a definite highlight of the experience. The voice acting is well done too. It’s a bit cheesy, but this is a very cartoon-ish game so the exaggerated speech and emoting fit the game perfectly. The low point is actually your main character, who is a bit atonal, and as he is the voice actor you’ll hear the most, you will find yourself wishing the cut scenes had subtitles instead. The other characters are equally hit or miss, but even the cheesiest can still be fun in the context of the game. Rage of the Gladiator is one of those few games that can make cheesy budget voice acting work for it instead of against it. First of all, I love that a downloadable title offers MotionPlus support. I found that to be impressive, especially as so many full budget disc release titles ignore this add-on. I also found it equally impressive that unlike Red Steel 2 or Wii Sports Resort, that you can play Rage of the Gladiator without it. Seriously, developers that FORCE you to buy an add-on to play their game annoy the hell out of me. RotG instead gives you three different controls schemes to play: the MotionPlus option, the Wiimote and nunchuk option, and the “Wiimote held as a NES controller” mode. All three control schemes are excellent and you’re bound to find one that you really like. I ended up preferring the NES controls because I found my reaction time to be quicker with it, and in this game, even a fraction of a second can mean life or death. 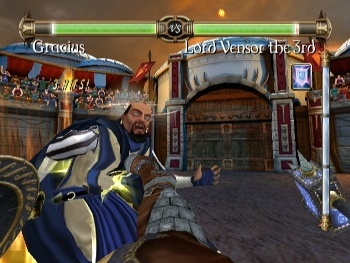 Rage of the Gladiator is played from a first person perspective. The 1 and 2 buttons controls your hands while pressing down on the D-Pad in conjunction with those buttons will have you kick instead. The A button raises your shield as well as acts as the trigger for a special combo when you have dizzied your opponent and the B button cycles through all the combos you have unlocked. For the Motionplus or Wiimote/Nunchuk controls, The Wiimote controls the right side of your body and the nunchuk your left. Each battle goes until you or your opponent falls to the ground three times. However, you can unlock a power that gives your character a 50% chance of a fourth life bar and I strongly recommend going for it, as it can really help you out, especially in challenge mode. The rest of the game plays like the Wii remake of Punch-Out!! in which you will be watching for your opponent’s tells (signs of what move it is going to do neck) and then either dodge, block or jump over those attacks and return with some of your own. Everything here works exceptionally well and only on rare occasions did I find my character reacting slower (and thus dying) that my inputted commands. After each battle you are given three skill points to use amongst three charts of various abilities. You have Attack skills, Defense skills, and Magic skills. Each skill tree has its own strengths and weaknesses but you should invest primarily in one, use a few extra points in another, and then leave the other alone. I found the defense skill tree to be the best overall, primarily because this is a defense oriented game, but also because the overall powers are superior in the long run. Things like invincibility to stun attacks, regeneration and healing served me far better than when I used the attack or magic trees. My only complaint is that the more combos you acquire, the harder it is to actual use any. You’ll have to cycle through them all with your B button WHILE the action is taking place, and it resets after each battle, meaning you’ll have to find some time, if any, to do so. The system should have been designed in a way where you pick one or two before each round to reduce the awkwardness of the whole setup. Everything plays quite well and it’s a solid experience through and through. It’s quite short, but it’s also a ten dollar game, so you get what you pay for there. 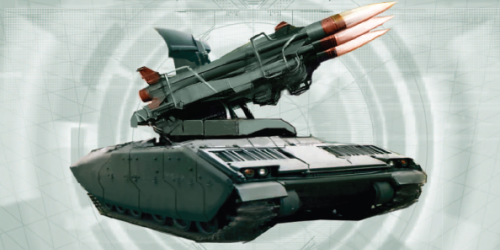 Control-wise, this is easily one of the best WiiWare titles I’ve played. After beating an opponent, you can always go back and replay them for a better score or time, although there’s no real point too unless you really want to. You also can’t change around your skills so you’ll have to play through the game three full times (once for each style) just to see what all you can do. However, once you beat the game, unless you absolutely fell in love with RotG, you probably won’t have any desire to do that. The game is exceedingly linear, as one might expect, but at least you can replay certain characters. I also like how many skills there are in the game to choose from, but even those small things don’t make up for the fact that this is primarily a “one and done” title. Here is where things start to fall apart. My big, and I mean BIG problem with the game is that it is too much guess and check. You’ll find yourself dying against most characters at least once because of one main reason. Many tells are simply impossible to actually TELL what your move should be. It might appear that the correct response is to put your shield up, but in fact, the attack will then go right through your shield. Another attack will lead you to believe the correct response is to dodge left, when in fact you need to dodge right, even though that would (in the real world) put you closer to being hit by the attack. Indeed, much of the game is simply trial and error, rather than any degree of skill. You’ll just have to try dodges, jumps, and blocks to see which actually works and then remember the timing involved with it. As such the game is far more rote memorization than Punch-Out!! and I found it quite annoying that the visuals of the oncoming attack would suggest one thing when something completely different was in fact, the right response. Another issue I have is that sometimes there are unblockable attacks. This of course means you WILL take damage and there is no way around it. That seems like a very silly thing to put into a game of this nature, but it’s why the regeneration power can come in handy, especially as you can just sit and let the computer talk and brag while your health refills. Finally, there are two characters – the wizard and the snake charmer, who end up having a secondary move that will always hit once you’ve dodged. For example, the wizard has a meteor storm that will constantly be hitting the left and then the right side throughout the battle. Because attacks are randomized, you can end up with the wizard doing an attack where you can only dodge right, only to have a meteor setting that part of the screen on fire. Again, this means you take damage no matter what and that’s just stupid. 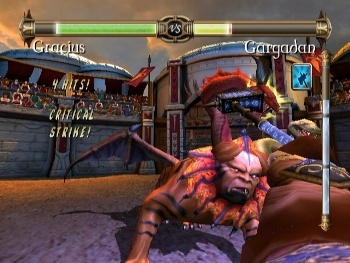 Rage of the Gladiator really needed to have the patterns and the randomizations tightened up and it the balance issues keep the game from being a truly great title and make it instead a fun but frustrating one. On one hand, Rage of the Gladiator is a Punch-Out!! clone and it makes no bones about this. It doesn’t even TRY to hide this fact. On the other, there aren’t a lot of first person games that use this style of gameplay and I personally think it is genius to take the first person gameplay of a boxing game and turning it into a sword and sorcery title. RotG at its core is still a boxing game, but the addition of kicks, spells and changes ducks into leaps is one of those things I can’t believe it took this long to make. It’s a very creative title and it’s both outside the box and yet obvious at once. This is definitely one of the best “clone” titles I’ve ever encountered. This is kind of bi-polar here. I played the first round of battles non-stop, even with several defeats along the way. The second set of battles? Not so much. I appreciate new attacks and the higher difficulty setting, but it just wasn’t doing it for me. I did find the final boss to be hilariously easy in the first round and Mike Tyson mean in the second. After beating both normal and challenge, I found I had little to no desire to replay the game to see how the Attack and Magic skill trees worked. 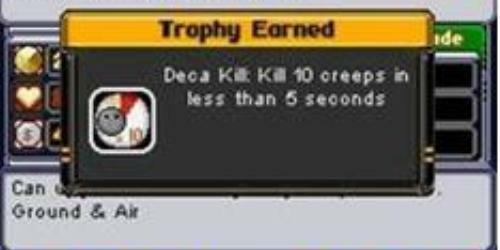 I’d done that been there and the skill trees were the only real replay value in the game. I found myself a bit bored trying it with the other trees and as much as I can easily recommend this game at the ten dollar price tag, I also feel it’s real a one playthrough title. It’s fun, but I don’t ever see myself having the desire to pick it back up again. Punch-Out!! proved to be a nice little hit for the Nintendo Wii and in many ways I strongly preferred this game over it. I mean, Sword and Sorcery or a sport that is more fixed than Pro Wrestling? It’s fun, it’s funny and it’s better made than most full priced Wii titles. How can you go wrong? Unless you’re not a fan of fantasy games or first person titles, you’ll find something to love about Rage of the Gladiator. It’s definitely one of the best WiiWare titles out there and at only ten dollars, it’s an easy decision to pick this one up. Rage of the Gladiator is short, but cheap. It offers only a limited amount of opponents, but a surprisingly deep character customization system. Basically you are paying ten dollars for a quick but fun gaming experience that doesn’t hold up under repeat playthroughs, but at least you will easily get your money’s worth and then some. 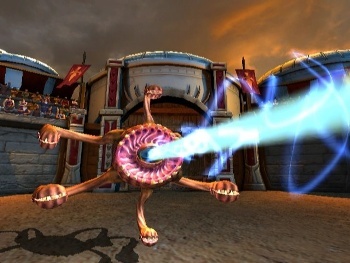 Rage of the Gladiator has me interested in checking out Ghostfire’s previous game, Helix (which came out in August, 2008) and they’ve definitely proved themselves as a development team worth keeping my eye on. 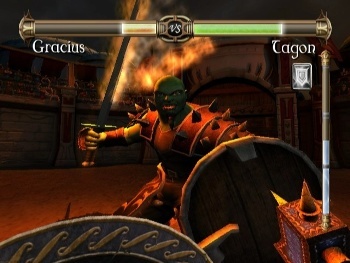 Rage of the Gladiator is one of the better games WiiWare games out there. It takes the Punch-Out!! concept and turns it from a boxing game into a sword and sorcery first person fighter. The story is generic as all get-out, and it’s definitely rough around the edges, but it’s a fun little game that boasts excellent character designs, extremely solid gameplay and has a pretty deep character customization system for a ten dollar game. It’s definitely worth the purchase price. Pretty nice review. I own the game and think it’s absolutely great. Did you finish “Challenge Mode” all the way? Coffee – No. There are two characters I still need to do that with. I only have B’s with Lord Vensor and Ahmet. I keep losing at least one round to both of them. Both were very challenging, as was Ixthid for me. I’m now going back, trying to get “S” grades. I’m still on the “Normal Mode” trying it. I can only imagine how crazy it will be on “Challenge Mode”. Challenge Mode is crazy. It’s like everyone is Mike Tyson crazy. Oddly enough the two easiest for me were Ixthid and Master Yee. LOL. Master Yee wasn’t bad for me, but I did love his “new” final move. I really think this game is a “must buy” for any Punch-Out(old or new) fan. There were so many places Ghostfire Games could have said, “It’s good enough as it is” and just left it, but they didn’t. $10 for a game that you can play for 10+ hours easily(I’m near 30 hours), compared to spending $50 or $60 for games that are shorter or about the same in length. I think the presentation of Rage of the Gladiator is excellent. I still love Tagon’s character, and his lines after the first round and the humor that is shows. I think it holds up amazingly well with repeat playthroughs. I think that’s why the game includes a “grade” system. If you can get a grade of “S”, each and every time, then I would agree it doesn’t hold up. No way! The patterns and randomizations work great! There is a cue, usually audio or visual, for most of the attacks. I think the attacks and learning the patterns, is what makes this game genius. There wouldn’t need to be a grading system in the game if the patterns were easy to learn. The only issue I had, were a few times I would stand back up, after getting knocked down, and I would be getting hit by the opponents attack, even though I couldn’t dodge at all. One was on Amit, I think the other may have been Tagon. It didn’t happen but two times(out of probably 500+ battles fought so far). Again, though, I’m not positive I if I could have dodged them, but I thought that I was still getting up, when I was being hit by them. I’ll be starting the “Challenge Mode” again, trying for the highest grade in each boss battle, and I’ll make sure to note it, if the issue happens again. Thanks for writing this review! I’m the producer for “Rage of the Gladiator”. 1) Some bosses require that the player “counterattacks” the boss while he’s winding up to hit you. That may be the issue with your experience. 2) Against “Lord Vensor” if you time things properly you can dodge all of his attacks and not get hit by the fire on the side. It just requires very tight timing. your comment on the story being mediocre because of the kingdom, it is totally true that is how the roman empire was. This is not a 21st century game it is based off of earlier times so of cource they are going to be speices-ist. Your comment makes absolutely no sense. Rome didn’t have beholders, minotaurs or goblins. If anything it’s based of D&D’s Dark Sun.